The ultimate in beauty and luxury – the forever rose. Twelve real rose heads, that have been preserved by an infusion of special oils that defy the ageing process and produce blooms that will last a year. In simplicity, there is beauty. And sometimes a single flawless rose says it all. That gorgeous rose you give in February will be gorgeous still in July, in August, in December… That’s the beauty of giving preserved blooms. It’s a real flower, and it makes a genuine impression. Your love won’t fade – and neither should your gift. 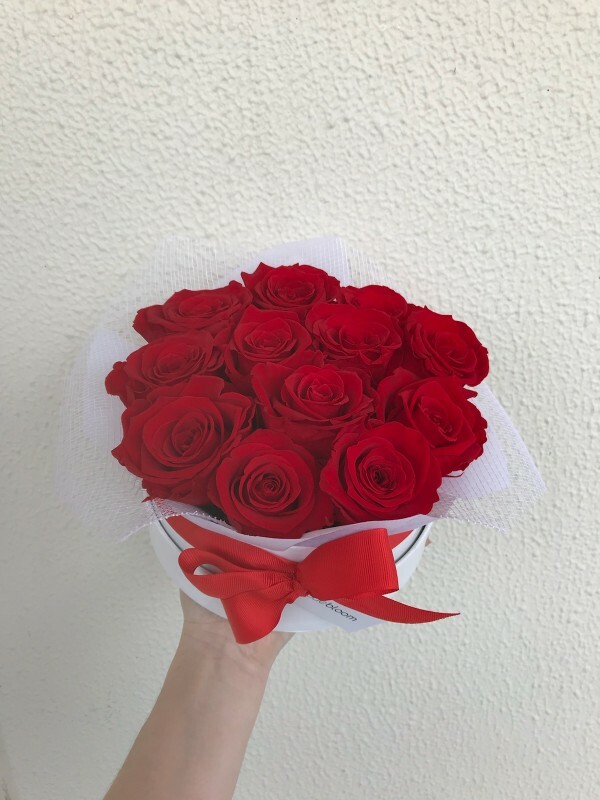 The roses are arranged in a gorgeous round white hat box for safe keeping or display and come with a special care card so you know how to protect them.